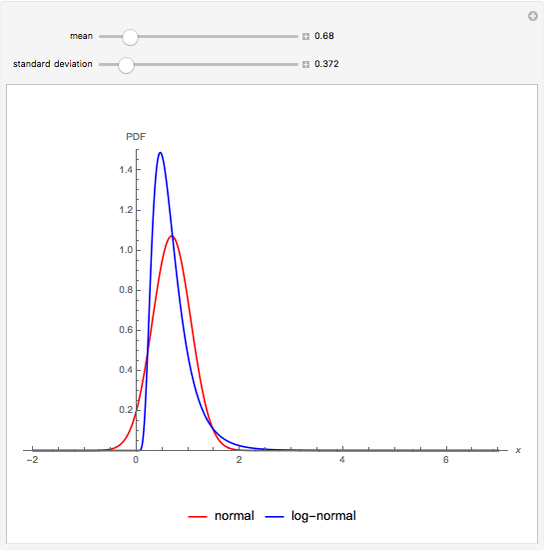 This Demonstration compares a log-normal distribution probability density function (PDF) with parameters and with a normal distribution PDF with parameters and . 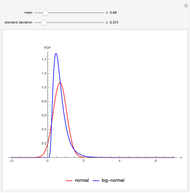 Both PDFs have identical mean and standard deviation. 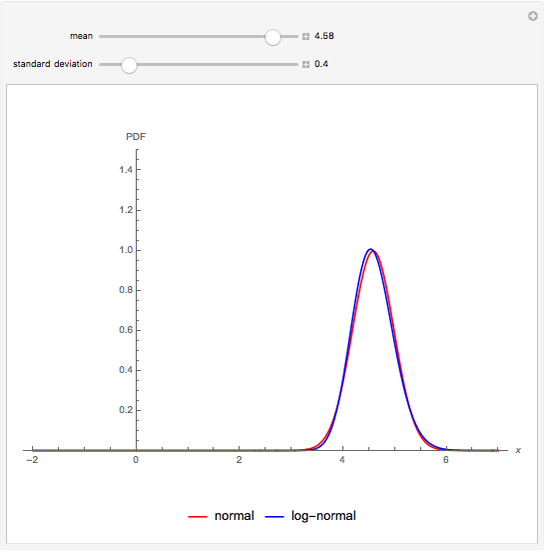 Since the log-normal distribution is defined for positive values, it is not possible to have an equivalent normal distribution with negative mean. 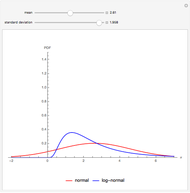 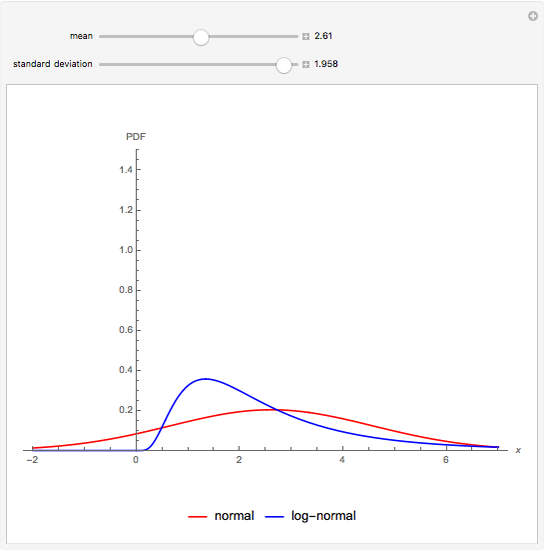 As can be verified using the built-in Mathematica function Expectation, the mean and standard deviation for both the log-normal distribution and normal distribution are and . 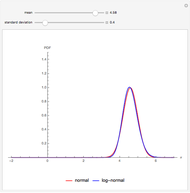 Diego M. Oviedo Salcedo "Normal and Log-Normal Probability Density Functions with Identical Mean and Standard Deviation"